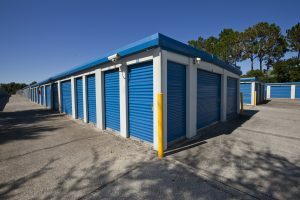 Fort Knox Self Storage - Lady Lake | Self Storage Services Inc.
We are located close to Denny's, allowing us to offer a variety of convenient storage solutions to the communities of Lady Lake, Fruitland Park, Belleview, Weirsdale, Summerfield, and The Villages, which is also called “Florida’s Friendliest Hometown”. Look for our property just off US Route 441! Are you looking for a place to store your belongings with a great location and staff that actually listens to what you need? Look no more! Our storage facility is located in beautiful Lady Lake, Florida, offering easy access to major roads and highways if you’re in a hurry. We wanted to make sure there’s always a solution to your storage needs, and that’s why our storage units come in a variety of sizes. Temperature-controlled units will keep your belongings in tip-top condition, while drive-up units will make your next move a lot easier. Need a place for your vehicle, too? No problem. Our vehicle storage spaces are great for cars, RV’s, motorcycles, and nearly any kind of vehicle you may have. You will even have 24-hour access so you can take your boat out on the lake whenever you want! Our other amenities include truck rental, electronic gate access, security fencing, video surveillance, moving supplies, online bill pay, and more. Call our office today or visit our self storage facility – our resident manager will be happy to answer any questions you may have! Se habla Español.